MOLINE, IL - Black Gold played in the North American Fastpitch Association (NAFA) A-Major National Tournament August 6-9 in Moline, IL and finished 5th out of 30 teams, winning 4 and losing 2. 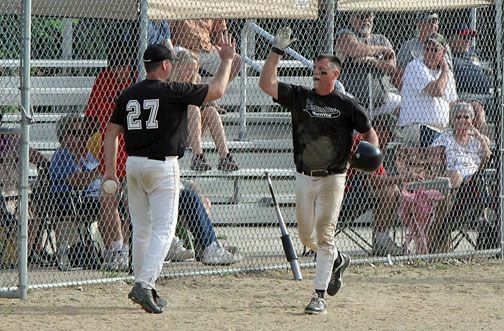 Black Gold also finished 2nd in 2001 and 4th in 2011 in the largest fastpitch softball tournament in the U.S.
For the first time in NAFA history, a father son combination were selected to the All-World team. Centerfielder Tyler Johnson hit .600 for the weekend with a double, triple, home run, and 5 RBI’s. His father, 1st baseman/outfielder Brad Johnson, also made the all-world team hitting .579 and leading the team in doubles. NEW HAVEN, Mo. 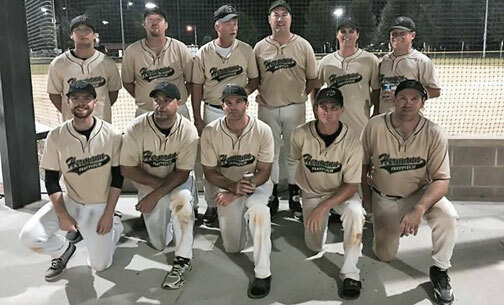 - Black Gold got off to a tough start Black Gold Softball classic, (June 27 & 28) losing their first two pool play games and nearly being eliminated from their own tournament on Saturday. The local squad then rallied and won three straight elimination games before falling in the fourth do-or-die affair to the Pinckneyville Falcons. The Falcons, 5-0 on the weekend, won the Black Gold Classic for the 2nd consecutive year. For the tournament, Cullen Speckhals led Black Gold with seven hits on the weekend with Brad Johnson, and Jake Murphy recording 6 hits apiece. 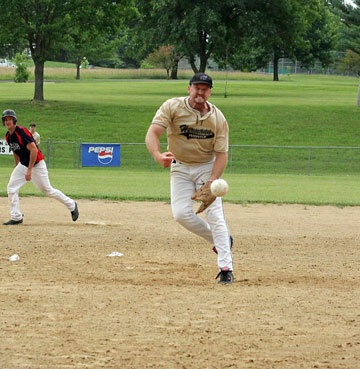 Photo from last’s Black-Gold Fastpitch Tournament. 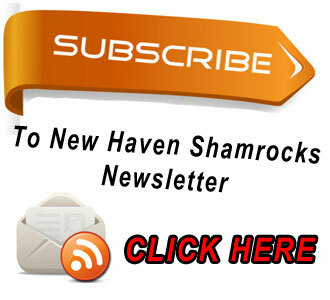 CLICK HERE FOR TOURNAMENT BRACKET/SCHEDULE AND REUNION INFO. NEW HAVEN, Mo. - The annual Black-Gold Softball Tournament returns to New Haven City Park on Saturday June 27th and Sunday June 28th. 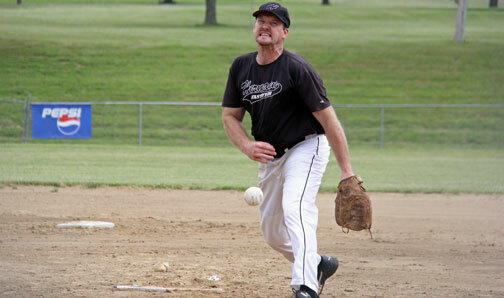 The annual mens fastpitch tournament in New Haven dates back to the 1960s with the New Haven Cubs tournament. After the Cubs folded in 1999, Black-Gold took over the tournament and keeping a time honored tradition alive, making this the 55th fastpitch tournament. UNION, Mo. - For the fifth consecutive year, the East Central College Athletic Department has won the Midwest Community College Athletic Conference Academic Award. 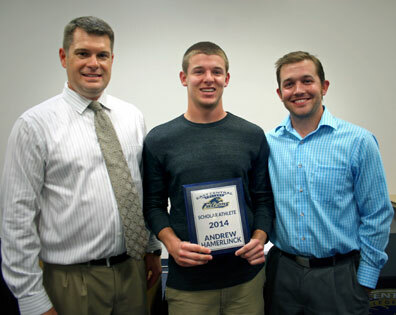 Dr. Jay Mehrhoff, athletic director at ECC, said student athletes had an overall grade point average of 2.97. That mark allows the Falcons to retain the Harold Oetting Award which is presented each year to the MCCAC school with the highest overall GPA attained by student athletes. Click here to view the photo gallery and download any photos you would like to have at no cost. NEW HAVEN, Mo. - After a solid win over Kelso to advance into this afternoon’s championship game, Black-Gold needed just one win to take first place in their own tournament for the first time since 2009. In a double elimination tournament, the Pickneyville Falcons would hand Black-Gold their first loss on the weekend, 10-3, forcing a second and decisive championship game. Justin Wurtz (pictured left) did all he could to give Black-Gold a boost, but it wasn't enough to get past Pickneyville, as Black-Gold lost 8-6, taking second place. NEW HAVEN, Mo. - An impressive effort by Eric Steinbeck hoisted Black-Gold to a 3-0 win in seven innings over Kelso Fastpitch and into the championship game later this afternoon. Steinbeck held Kelso to just three hits, striking out 11 over seven shutout innings. Black-Gold scored three runs in the first inning to build an early lead. They scored in the first on an RBI single by Brad Johnson and a two-run single by Dean Haeffner. 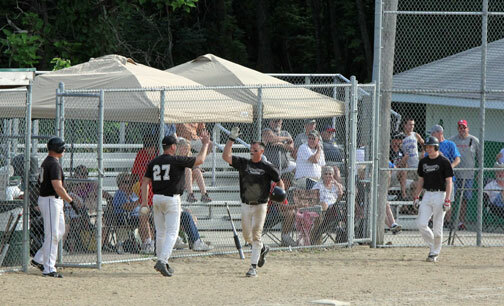 Eric Steinbeck (27) and Brad Johnson high-five after Johnson’s fifth inning in-the-park two-run homer. NEW HAVEN, Mo. 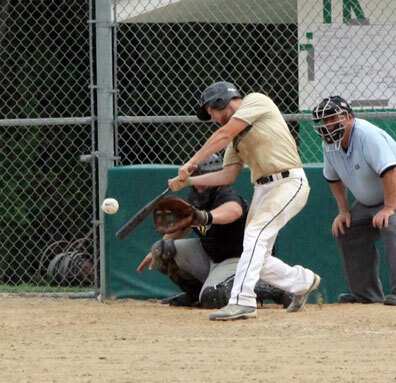 - After five lead changes in Saturday's second round game at Lions Field, Black-Gold finally pulled out a 7-4 win over Pickneyville Falcons to advance into Sunday’s semifinal game. 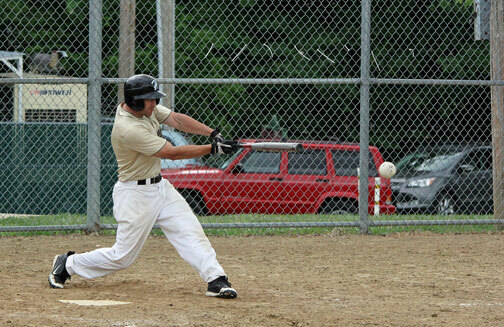 Black-Gold pulled off the comeback win, scoring four runs in the fifth after trailing 3-1. Black-Gold went up for good on an RBI single by Kurt Speckhals, scoring the go-ahead run, Cullen Speckhals, to take a 4-3 lead.